Is your herd headed in the right direction? In August 2006, our first six suri alpacas arrived to grace the pastures of our 20-acre property in southeastern PA. 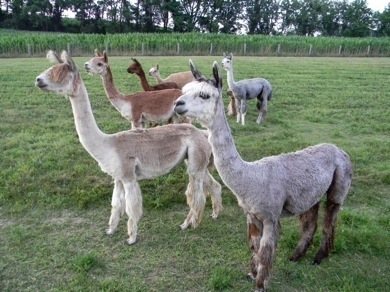 Since then we have welcomed a dozen healthy cria and a few new dams, as our herd grew to nearly 30 alpacas in 2012. 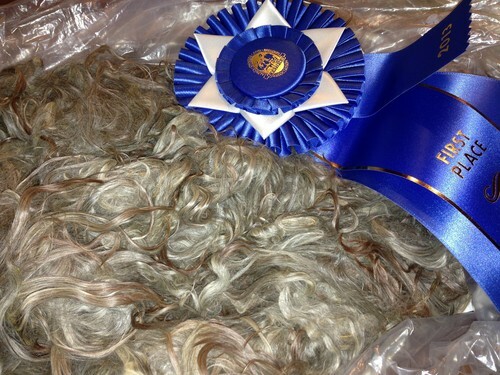 We worked to keep our herd size small and focused on improving the fleece qualities and processing use of colored suri fiber, from fawn to grey to black. CURRENT SPECIAL... Check out our GREENER PASTURES SALE! 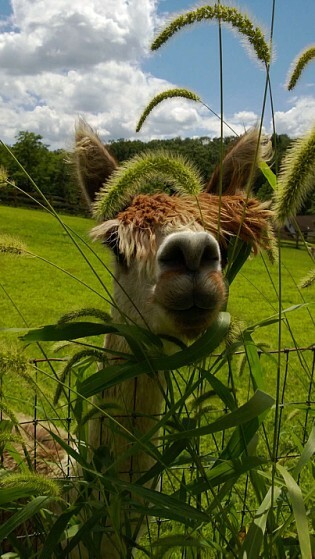 It is time to hang up our shears and move on to new adventures... our human children have headed off to college, so we are looking to downsize from the farm, "retire" from the alpaca industry and travel to spend time with family. Our search for greener pastures will save you some cash, all reasonable offers will be considered to good homes for our 'pacas! *There is an unlisted/unregistered 3-year-old medium brown male included who is the spitting image of his full sister, Maggie Brown (see her listing for comparison). Call or email for cash discounts... Thanks for looking! P.S. 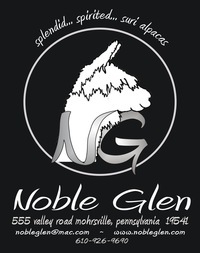 for those who have looked us up at nobleglen.com, please note our personal farm website is very outdated. It was created 12 years ago using a mac program. Our Openherd farm page is the most current. With prices this low, we do not offer set finance terms... however, we will consider finance options, case by case, depending on the total purchase price. CVI requests for any alpaca purchased to be provided by Seller. Transportation of purchased alpacas is the responsibility of the Buyer. Make an Offer for our Greener Pastures Sale! Right now you can purchase the entire herd of (11) suri alpacas at a special retirement SALE price of $10,000!